I'm pretty sure everyone knows that I'm from the southernmost city, Johor Bahru. Said it once in my intro, but there's no harm in repeating it. I mean, I am absolutely proud to tell everybody my city of origin. It's been two months since my last visit there. So, I took a four-day holiday to go back my home-city. Not much of a fun, though. I was tired with everything in KL, so it was pretty awesome to have such a long weekend to kick back and relax. 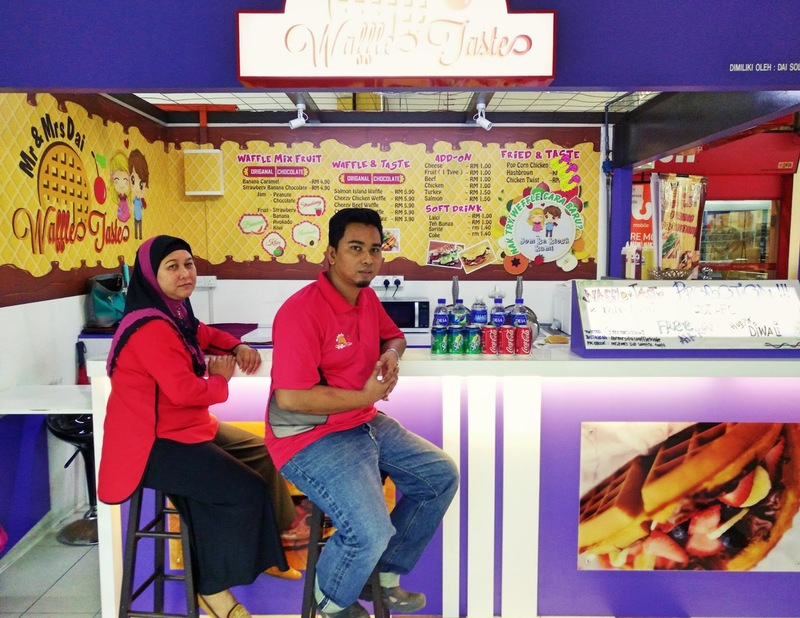 But I've got to share with one thing new in Johor Bahru. Something that wasn't there when I left that city. October 2015, a friend of our family, had finally launched her dream shop. 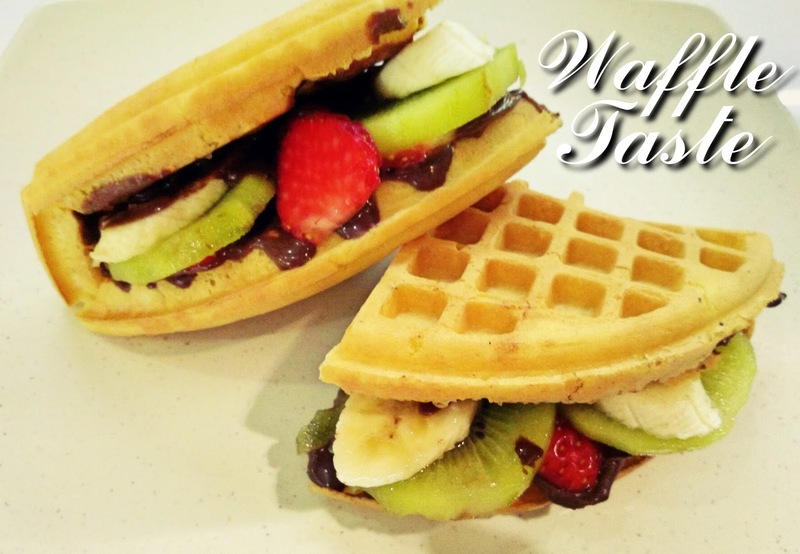 With the name of Mr & Mrs Dai Waffle Taste, it is a dessert store that introduces a new way to enjoy waffle. For some people, desserts will always be dessert. It doesn't matter how much you try to improvise it. But for those who appreciate the art of dessert, and apparently enjoy eating, this could be extremely interesting. 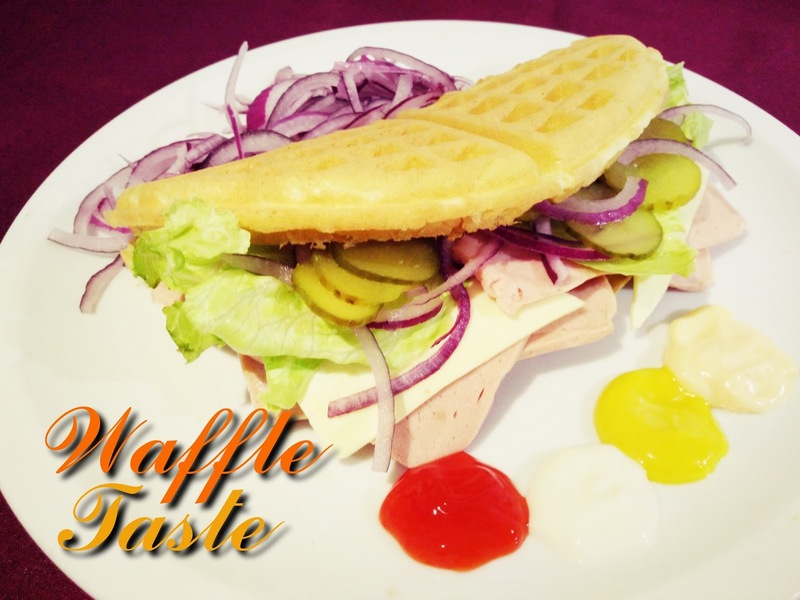 At Waffle Taste, you have multiple selections in creating the waffle that suits your taste. It's pretty simple, yet fun. Just imagine Subway sandwich, but replace it with waffle from Waffle Taste. 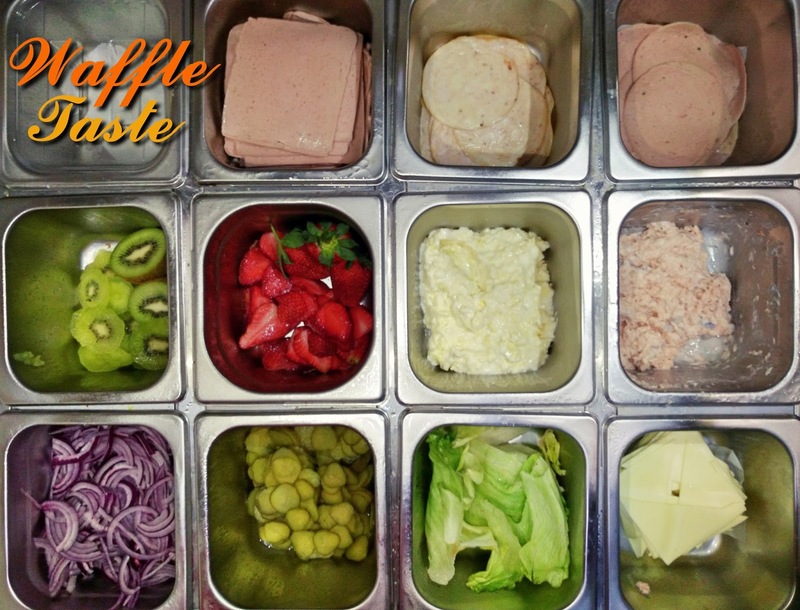 You could either select the ingredients separately, or just choose from of the existing menu. Each of extra ingredients you're selecting, such as Turkey or Salmon, will cost you RM1.00 and RM1.50 respectively. Click to this link to understand more of their menu, Mr&Mrs Dai Waffle Taste. That sounds kind of great, doesn't it? Now let's discuss on the thing that I like most. That would be the Banana Caramel (RM4.90). 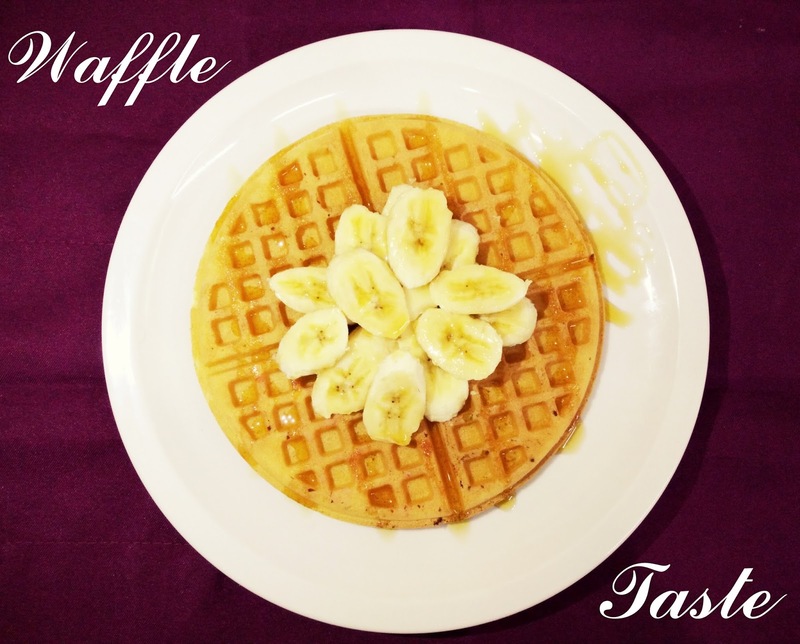 Fresh banana served on top of beautifully cooked waffle, and rained down with hot-thick caramel sauce. 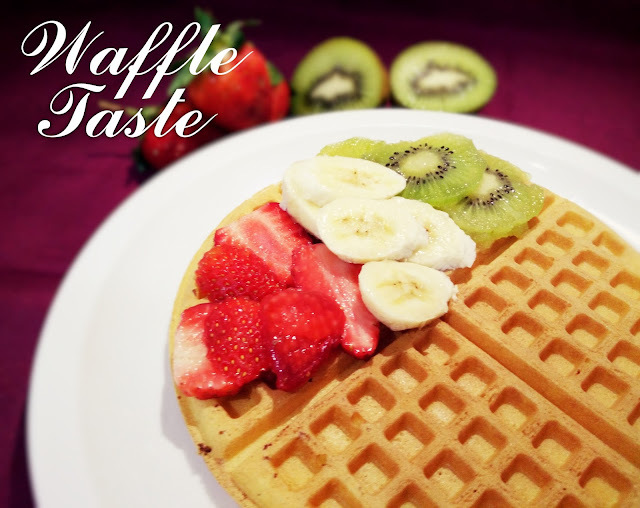 Simple, sweet and classic. My all time favorite.